This entry was posted in bias, biased, Bob Blaskiewicz (Robert J. Blaskiewicz @rjblaskiewicz), critique, critiques, critiqued, critiquing, Glioblastoma Multiforme (GBM), Gorski ScienceBlogs.com/Insolence ScienceBasedMedicine, Stanislaw Rajmund Burzynski, The Skeptics, USA TODAY and tagged ", "(in press, "Alexander J. Walt Comprehensive Breast Center", "American College of Surgeons Committee on Cancer", "Ann Karmanos Cancer Center", "Ann Karmanos Cancer Institute", "Associate Professor of Surgery and Oncology at the Wayne State University School of Medicine, "Barbara Ann Karmanos Cancer Center / Institute", "Barbara Ann Karmanos Cancer Institute", "Brain Tumour Foundation of Canada", "Burzynski’s patients“, "can explain about 1/2 of 20%", "Can J Neurol Sci. 2010 Jan;37(1):36-42", "Cancer Liaison Physician for the American College of Surgeons Committee on Cancer", "Clinical features, "combined chemo-irradiation with temozolomide which may induce in 20-30%", "compulsive liars", "Critiquing: Stanislaw Burzynski in USA Today: Abuse of clinical trials and patients versus the ineffectiveness of the FDA and Texas Medical Board (Getting Worse is Getting Better)", "Critiquing: Stanislaw Burzynski in USA Today: Abuse of clinical trials and patients versus the ineffectiveness of the FDA and Texas Medical Board (swell inflammation phenomenon)", "Curr Opin Neurol. 2009 Dec;22(6):633-8. doi: 10.1097/WCO.0b013e328332363e", "D.H. Gorski", "Department of Neuro-Oncology, "DH Gorski", "Dr. Burzynski", "Dr. David H. “Orac” Gorski", "getting worse is getting better", "GLIOBLASTOMA MULTIFORME (GBM)", "glioblastoma multiforme", "Hannah Bradley", "Institute for Science in Medicine", "journal articles", "Lancet Oncol. 2008 May;9(5):453-61. doi: 10.1016/S1470-2045(08)70125-6", "Liz Szabo’s USA TODAY", "major news outlet", "Medical Director of the Alexander J. Walt Comprehensive Breast Center", "member of the faculty of the Graduate Program in Cancer Biology", "Ms. Szabo", "National Geographic", "play book", "pseudo-phenomenona", "Pseudoprogression and pseudoresponse in the treatment of gliomas", "Pseudoprogression following chemoradiotherapy for glioblastoma multiforme", "Psuedo-progression", "recurrent malignant glioma", "Sanghera, "ScienceBasedMedicine . org", "so-called pseudoprogression can occur in up to 20% of patients", "standard of care", "Stanislaw Burzynski in USA Today: Abuse of clinical trials and patients versus the ineffectiveness of the FDA and Texas Medical Board", "T.M.B. 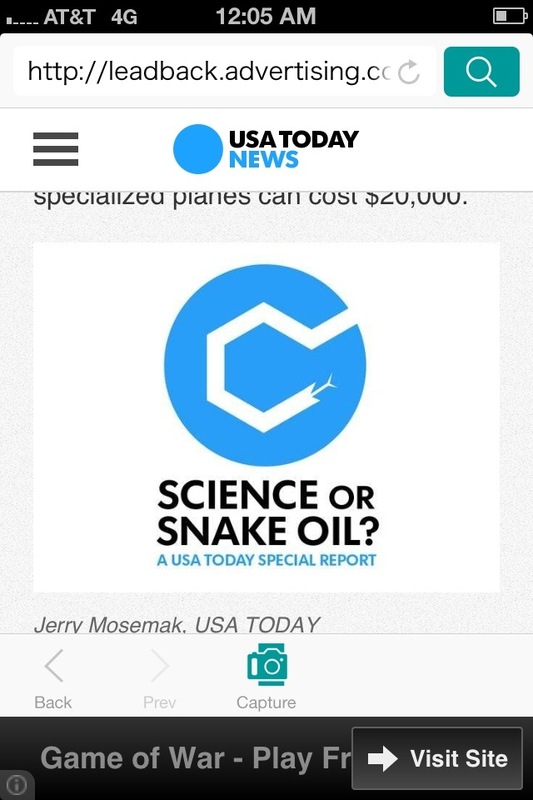 ", "temozolomide chemotherapy", "Texas Medical Board's", "Treasurer for the Institute for Science in Medicine", "U.S. Food and Drug Administration", "University of Michigan" Gorski http://en.wikipedia.org/wiki/David_Gorski, "USA TODAY", "USA TODAY’s", "Wayne State University School of Medicine", "Wayne State University", "web-site", "What is Pseudo-Progression Following Treatment for Glioblastoma Multiforme? ", #sciencebasedmedicine, @gorskon, @oracknows, @rjblaskiewicz, @ScienceBasedMed, abuse, abuses, Academically, accepted, Additionally, Amsterdam, and management of pseudoprogression in malignant gliomas", Antoni van Leeuwenhoek Hospital/Netherlands Cancer Institute, anymore, applies, appropriately, article, articles, “A patient who isn’t familiar with this phenomenon may assume her tumor is growing”, “Conventional cancer treatment can also cause tumors to swell temporarily, “killer cancer”, “Our only goal is to promote high standards of science in medicine”, “RT/TMZ", “Sunnybrook Health Sciences Odette Cancer Centre”, Bob Blaskiewicz, brain, Burzynski patient“, Canadian, Canadian Journal of Neuroscience)", chemoradiotherapy, Chief of the Section of Breast Surgery", cites, citing, claims, Clinical, Clinical Trial, Clinical Trials, congratulate, consequences, critique, critiqued, critiques, Critiquing, D.", D.H.", Daniel den Hoed Cancer Centre, David Gorski, David H. Gorski, deconstruct, deconstructing, determine, Detroit, DH", due to inflammation", earlier, Erasmus Medical Centre, et al., F.D.A., Facebook, FACS", FDA, features, Food and Drug Administration, Frequently, GBM, GLIOBLASTOMA, glioma, GLIOMAS, GorskGeek, Gorski, great, heartening, help, http//www.sciencebasedmedicine.org, http://braintumour.ca/, http://braintumour.ca/1649/, http://braintumour.ca/1649/ask-the-expert-psuedo-progression-gbm, http://cancerbiologyprogram.med.wayne.edu/, http://cancerbiologyprogram.med.wayne.edu/faculty/, http://cancerbiologyprogram.med.wayne.edu/faculty/gorski.php, http://karmanos.org/Physicians/Details.aspx?sid=1&physician=70, http://med.wayne.edu/, http://med.wayne.edu/surgery/, http://med.wayne.edu/surgery/faculty/DGorski.html, http://ncas.org/2013/02/mar-9-david-h-gorski-quackademic.html?m=1, http://ncbi.nlm.nih.gov/, http://ncbi.nlm.nih.gov/m, http://ncbi.nlm.nih.gov/m/pubmed/, http://ncbi.nlm.nih.gov/m/pubmed/19770760/, http://ncbi.nlm.nih.gov/m/pubmed/20169771/, http://ncbi.nlm.nih.gov/pubmed/19770760/, http://ncbi.nlm.nih.gov/pubmed/20169771/, http://prognosis.med.wayne.edu/article/dr-gorski-named-codirector-of-michigan-breast-oncology-quality-initiative, http://sciencebasedmedicine.org, http://sciencebasedmedicine.org/editorial-staff/, http://sciencebasedmedicine.org/editorial-staff/david-h-gorski-md-phd-managing-editor/, http://scienceblogs.com/, http://scienceblogs.com/Insolence, http://scienceblogs.com/insolence/2013/11/15/stanislaw-burzynski-in-usa-today-abuse-of-clinical-trials-and-patients-versus-the-ineffectiveness-of-the-fda-and-texas-medical-board/, https://stanislawrajmundburzynski.wordpress.com/2013/11/17/httpscienceblogs-cominsolence20131115stanislaw-burzynski-in-usa-today-abuse-of-clinical-trials-and-patients-versus-the-ineffectiveness-of-the-, http://thelancet.com/, http://thelancet.com/journals/, http://thelancet.com/journals/lanonc/, http://thelancet.com/journals/lanonc/article/, http://thelancet.com/journals/lanonc/article/PIIS1470-2045(08)70125-6/fulltext, http://whybiotech.com/?p=3808, http://wsusurgery.com/facultyc3/david-gorski/, http://wsusurgery.com/research-team-dr-gorski/, http://www.braintumour.ca/, http://www.braintumour.ca/1649/, http://www.braintumour.ca/1649/ask-the-expert-psuedo-progression-gbm, http://www.cancerbiologyprogram.med.wayne.edu/, http://www.cancerbiologyprogram.med.wayne.edu/faculty/, http://www.cancerbiologyprogram.med.wayne.edu/faculty/gorski.php, http://www.karmanos.org/Physicians/Details.aspx?sid=1&physician=70, http://www.med.wayne.edu/, http://www.med.wayne.edu/surgery/faculty/, http://www.med.wayne.edu/surgery/faculty/DGorski.html, http://www.ncas.org/2013/02/mar-9-david-h-gorski-quackademic.html?m=1, http://www.ncbi.nlm.nih.gov/, http://www.ncbi.nlm.nih.gov/m/, http://www.ncbi.nlm.nih.gov/m/pubmed/, http://www.ncbi.nlm.nih.gov/m/pubmed/18452856/ http://ncbi.nlm.nih.gov/m/pubmed/18452856/, http://www.ncbi.nlm.nih.gov/m/pubmed/19770760/, http://www.ncbi.nlm.nih.gov/m/pubmed/20169771/, http://www.ncbi.nlm.nih.gov/pubmed/18452856/ http://ncbi.nlm.nih.gov/pubmed/18452856/, http://www.ncbi.nlm.nih.gov/pubmed/19770760/, http://www.ncbi.nlm.nih.gov/pubmed/20169771/, http://www.sciencebasedmedicine.org/editorial-staff/, http://www.sciencebasedmedicine.org/editorial-staff/david-h-gorski-md-phd-managing-editor/, http://www.sciencebasedmedicine.org/editorial-staff/david-h-gorski-md-phd-managing-editor/ “Our only goal is to promote high standards of science in medicine”, http://www.scienceblogs.com/, http://www.scienceblogs.com/Insolence, http://www.thelancet.com/, http://www.thelancet.com/journals/, http://www.thelancet.com/journals/lanonc/, http://www.thelancet.com/journals/lanonc/article/, http://www.thelancet.com/journals/lanonc/article/PIIS1470-2045(08)70125-6/fulltext, http://www.whybiotech.com/?p=3808, http://www.wsusurgery.com/facultyc3/david-gorski/, http://www.wsusurgery.com/research-team-dr-gorski/, https://mobile.twitter.com/, https://mobile.twitter.com/gorskon, https://mobile.twitter.com/oracknows, https://mobile.twitter.com/rjblaskiewicz, https://mobile.twitter.com/ScienceBasedMed, https://twitter.com/, https://twitter.com/gorskon, https://twitter.com/oracknows, https://twitter.com/ScienceBasedMed, https://www.twitter.com/gorskon, https://www.twitter.com/oracknows, https://www.twitter.com/ScienceBasedMed, hyperactivity, Hypernatremia, ineffective, ineffectiveness, interpreted, issue, journal, learning, link, Liz Szabo, M.D. ", malignant, management, MD", mean, mechanisms, Michigan, NatGeo, Netherlands, occurs, only, Orac, Oracolyte, Oracolytes, patient, patients, Perry, Ph.D, phase II clinical trials, PhD, phenomena, phenomenon, portion, posits, practiced, press, problem, Progression, proof, proved, provide, provides, Pseudo-Progression (psPD)", Pseudoprogression, Pseudoprogressions, pseudoresponses, publication, publish, published, question, quoted, radiotherapy, recurrent, reference, refers, regurgitates, relevance, remember, reviewed, Rotterdam, RT, Sahgal, scienceblogs, selected, site, Stanislaw Burzynski, Stanislaw R. Burzynski, story, studies, stupidly, successful, support, suppositories, taken, Temozolomide, termed, Texas Medical Board, The Netherlands", The Skeptics, thorough, TMB, TMZ, treat, treated, Treating, treatments, tumours, Twitter, USFDA, verbatim, versus, vs, whatsoever, widely by didymusjudasthomas. Bookmark the permalink.